The Causeway Club pool is designed to offer modern facilities while embracing the relaxed atmosphere of the Mount Desert Island lifestyle. As noted in the History section of our site, the pool was originally built into the Atlantic Ocean. Today’s modern pool, set against this dramatic backdrop, is solar heated and provides the perfect place to relax or work out. The stone beach is still a popular spot to study active tidal pools. On hot summer days a quick dip in Norwood Cove is invigorating. 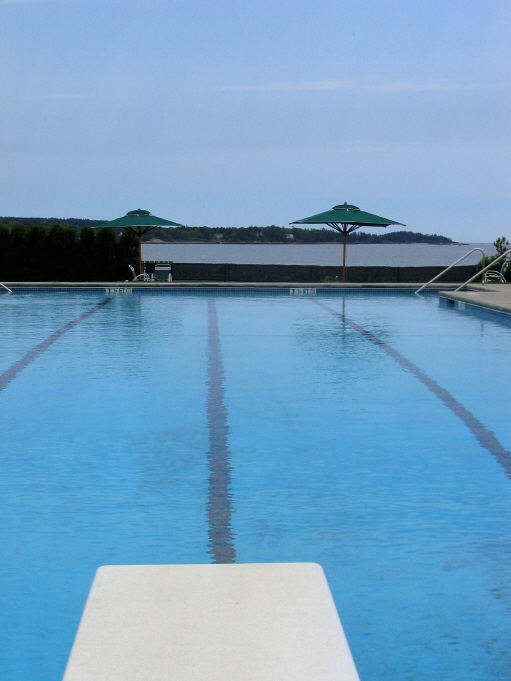 Our four lane, 25 meter pool has depths that range from 3 1/2 feet to 8 1/2 feet with a diving board. Two hours a day, noon to 1:00 and 5 to 6pm, are set aside for adult lap swimming. Our wading pool is 12 feet by 15 feet. Our bath house has changing rooms and showers with towels available. All of our staff are Red Cross certified lifeguards and available for swim lessons. We have taught hundreds of children to swim over the years. Three inter-club swim meets are held during the summer. These meets offer children ages 5 to 17 an opportunity to participate in low level competition among the three local swim clubs. It is at the pool of the Causeway Club where our true family nature is most evident. Poolside, on the lovely landscaped lawns, generations gather daily to relax, meet interesting new people, share lunch ordered from our new snack bar (delivered twice-daily), or watch the sunset over Norwood Cove. 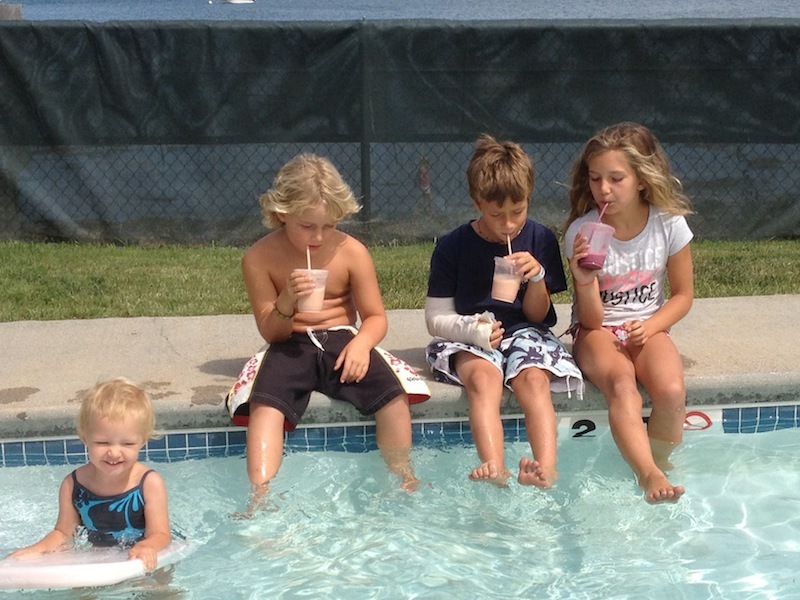 Now serving fresh fruit smoothies poolside. It is the place to be in the summer.